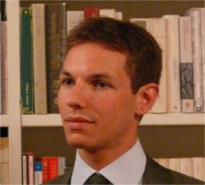 FRANCESCO PAGNINI is Assistant Professor at the Catholic University of Milan and collaborate as post-doctoral fellow with Harvard University. He has completed his Ph.D. in Clinical Psychology from the University of Bergamo. His primary interest is focused on the improvement of psychological well-being of people with chronic disease, in particular with interventions that improve mindfulness. He is currently on research about mindfulness both in Milan, in collaboration with Niguarda Ca’ Granda Hospital, and Cambridge, MA, working with professor Ellen Langer. He is currently Associate Editor for the journals “Frontiers in Psychology for Clinical Settings” and “BMC Psychology”.